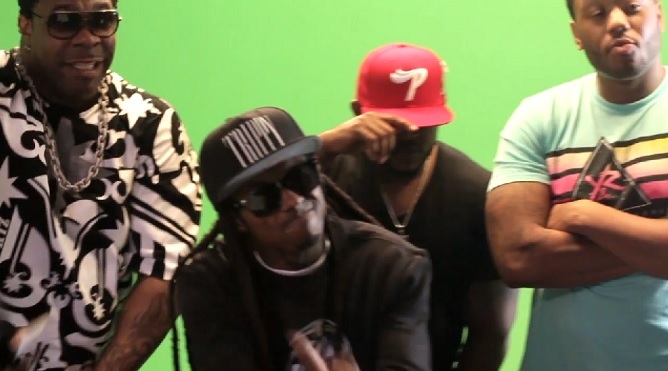 Here’s a sneak peek behind the scenes of Busta Rhymes music video for his new single “Thank You.” Take a look as the legendary emcee performs to the camera in front of a green screen with his new label mate Lil Wayne. There’s also a short clip included of Q-Tip and Kanye West as they were also on hand to record their contributions to the infectious new song. “Thank You” is set to be featured on Busta’s forthcoming Extinction Level Event 2 LP. This entry was posted in Miscallenous, Video and tagged behind the scenes, BTS, busta rhymes, Cash Money, hip hop, Kanye west, Lil Wayne, q tip, rap, thank you, young money. Bookmark the permalink.